Sterling Silver Seasons Earrings by Metal Arts Group. 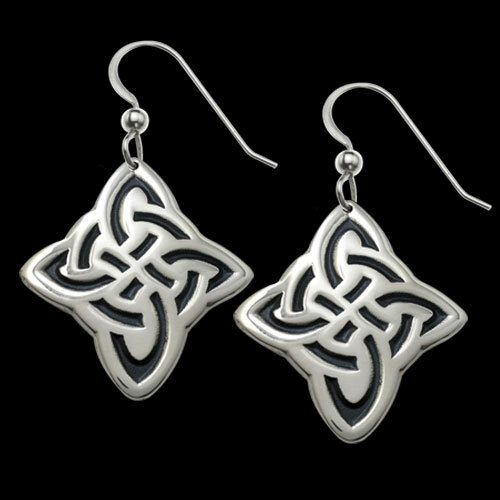 The four Seasons interpreted in this Celtic knot motif reminds one that Nature is a continuous cycle with each season following the last. 1.3 x 1 inch Sterling Silver Seasons Earrings by The Celtic Lady. Made in USA.